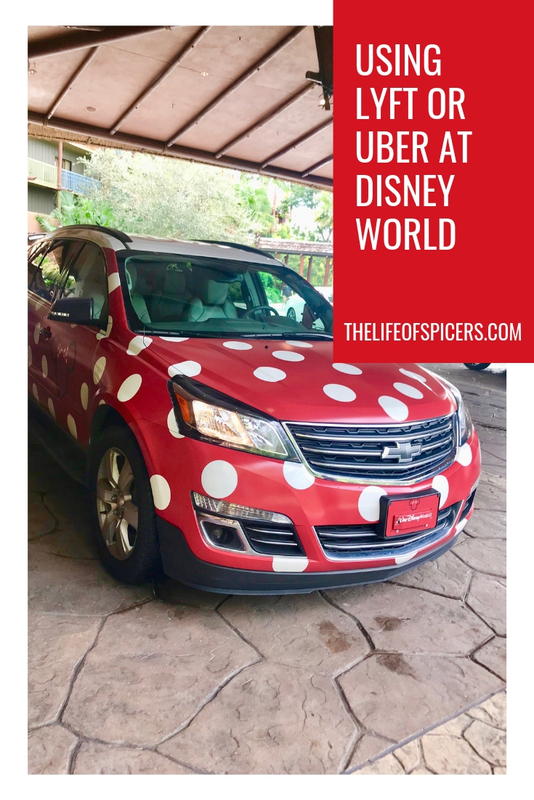 I have a guest post from Kate today talking about using Lyft or Uber at Disney World. Kate is a mom of two rambunctious boys and a travel addict! She spends her time blogging her families adventures at Tear Free Travel. Check out her Facebook page, Family Travel Ideas, for loads of family travel inspiration. 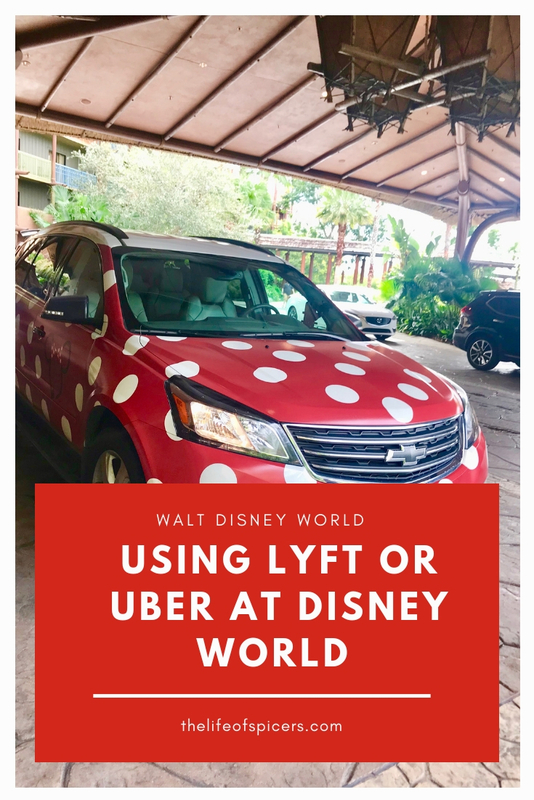 If you frequently use apps like Uber or Lyft to get around, you’ll be pleased to know that services are also available for transportation both to and from Walt Disney World. Using Uber or Lyft can help to make your day at Disney run smoothly and cut time on transportation between the parks. 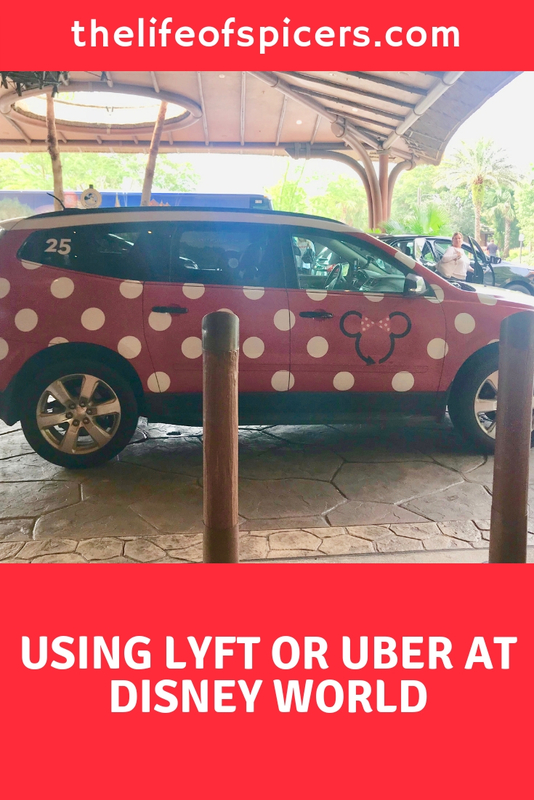 Although Disney does offer transportation between parks and to Disney resorts, using Uber and Lyft means you won’t have to wait as long or share a bus with another resort. 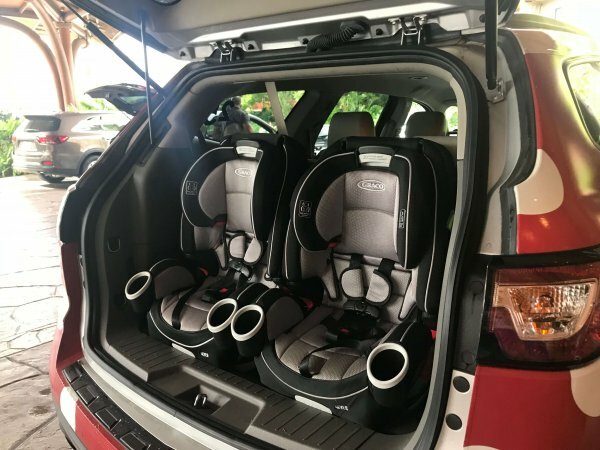 When traveling with little ones, an Uber or Lyft can be especially helpful. It’s easy to quickly install a portable travel car seat into a taxi and be on your way. Or you could even consider renting a Minnie Van, which offers two car seats for little travelers. In order to keep drivers available during busy hours, Uber and Lyft each charge an additional fee when drivers are in high demand. Fortunately, for your family, there are lots of drivers for both the companies, working in the WDW area. On many days, you’ll probably find little to no periods of surge pricing, except for around the time that the parks open and close. If you plan to arrive after 10 AM and leave before the 9 PM rush, you’ll most likely avoid paying higher rates. When you request a ride with Uber or Lyft, the app creates a pin indicating where you are so your driver can easily find you and pick you up. Unfortunately, the pin isn’t always at your exact location. Technology is never perfect… is it? This can be especially difficult on a driver, picking you up at locations to include Walt Disney World or the Orlando Airport. As soon as you book a ride, make a note to your driver indicating your exact location so that he or she knows precisely where to pick you up. This makes the process as smooth as possible. In order to get dropped off at any WDW park, using Uber or Lyft, all you need to do is type the name of the specific park in the destination field on the app. Better yet, there are a couple of tricks you can use to save yourself a bit of walking. When you get a ride to the Magic Kingdom, the standard drop-off point is at the Ticket and Transportation Center. But, if you get dropped off at the Contemporary Resort instead, you’ll be much closer to the entrance of the park. 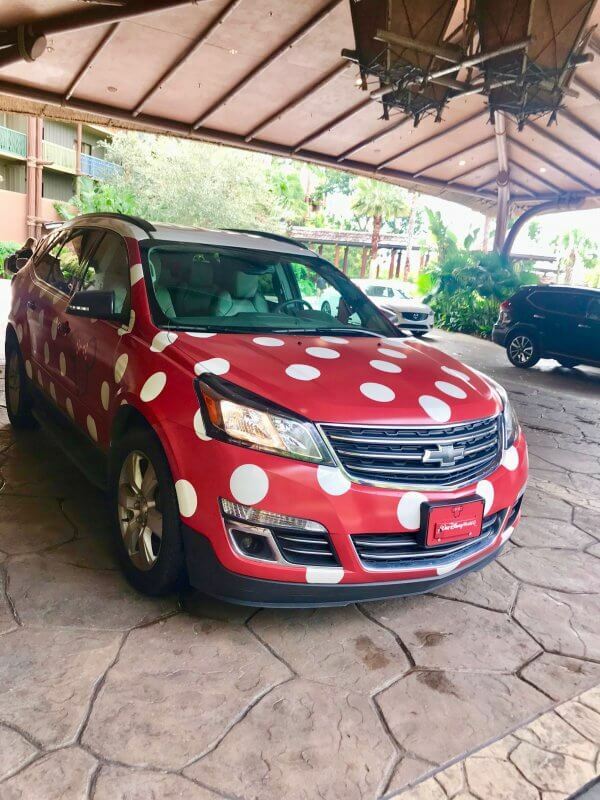 *Note* Minnie Vans have a special drop-off point at the Magic Kingdom, much closer to the park, so this may be worth the upgrade to their service. For quick entrance to Epcot, enter “Epcot Bus Stop” as your destination and you get dropped off right in front of the park. 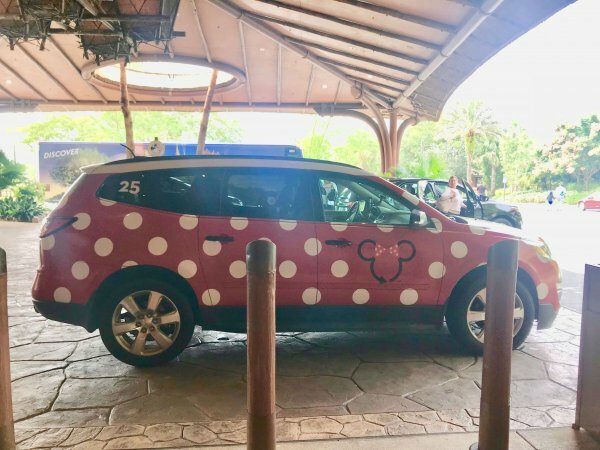 Recently, WDW has teamed up with Lyft in order to bring its guests Minnie Vans, a ride service which helps transport people around inside Walt Disney World Resort. These vans are very similar to all their Lyft vehicles, except all of them are comfortable vans decorated with Minnie Mouse’s iconic polka dots. How adorable is that? There is a premium for this service, however, there are some specific benefits that the Minnie Vans offer as well. You can quickly request a leisurely ride around Walt Disney World in a minivan using an option in the Lyft app. Without him, we would have never known all the best spots to see characters and get on rides quickly throughout the night. That extra value was worth the $15 extra that our trip cost. I was so impressed with the Minnie Van service, it’s definitely worth considering for your next trip! For those who opt out of rental car transportation, it’s a safe and affordable way to get you where need to go. Ask yourself, why spend tons of money on a rental car you’re seldom going to use? Save the money for souvenirs instead!